The world of home entertainment furnishings has exploded in popularity in the past decade. First came the big-screen, then flat-screen, then high-definition. And after this, we got LCDs, then plasma, and now 3D televisions. So the demand for suitable entertainment furniture is higher than ever before. And Finding the Right Home Entertainment Furniture can be a daunting challenge. The first thing you need to ask yourself is, how much space are you willing to allocate for home entertainment furniture? If you’re ready for a major entertainment focus in your living room or den, your top choice might be a lavish wall unit such as this five-piece wall unit from Brandenberry Amish Furniture. Conversely, you may be on the lookout for a significant, but not over-the-top media presence. Then, your choice might be something like a deluxe, one-piece entertainment center. Yet, many householders like a TV console that’s great-looking and more of a ‘traditional’ size. If this is your preference, a TV stand which accommodates your TV, DVD, stereo, music and movies would be a great choice. Prefer to have a corner entertainment center? 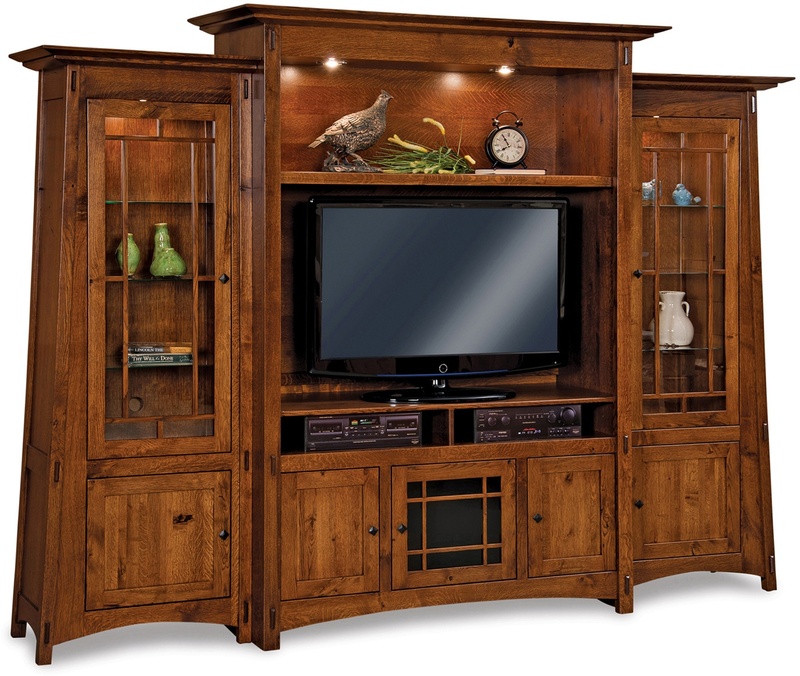 Brandenberry offers a number of options, such as full-featured corner TV stands. Or, you may be on the lookout for a traditional size, “affordable” TV stand. Brandenberry offers a plethora to choose from. If you’re a media-savvy homeowner and are looking for an entertainment center that will accommodate all your media equipment and toys, you may want to check out a six door entertainment center. Looking for a particular style, color or design? Check what options are available for each furnishing. You may be surprised at what you find! To see more entertainment furnishings, visit Brandenberry Amish Furniture and view our wide variety of custom furniture.